Comments: I like to think that Martin Jol and his bulging gut sample the pies whenever Fulham travel away from home, if that’s the case I’m sure he would be most impressed with Newcastle United’s Magpie- so bloody big it gets its own name. 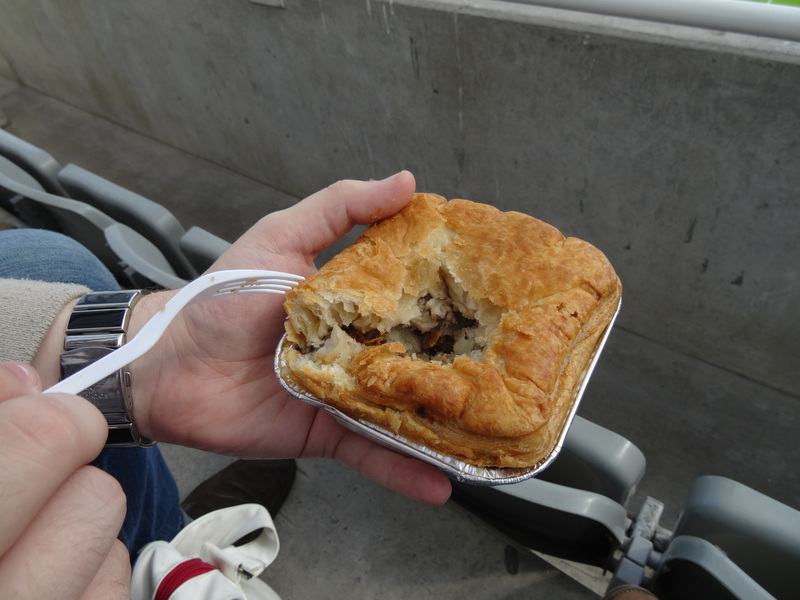 Anywhere that gives its pies a special name gets bonus points, Fulham’s Craven Cottage pie a fine example, a Newcastle have done the same here with solid results. 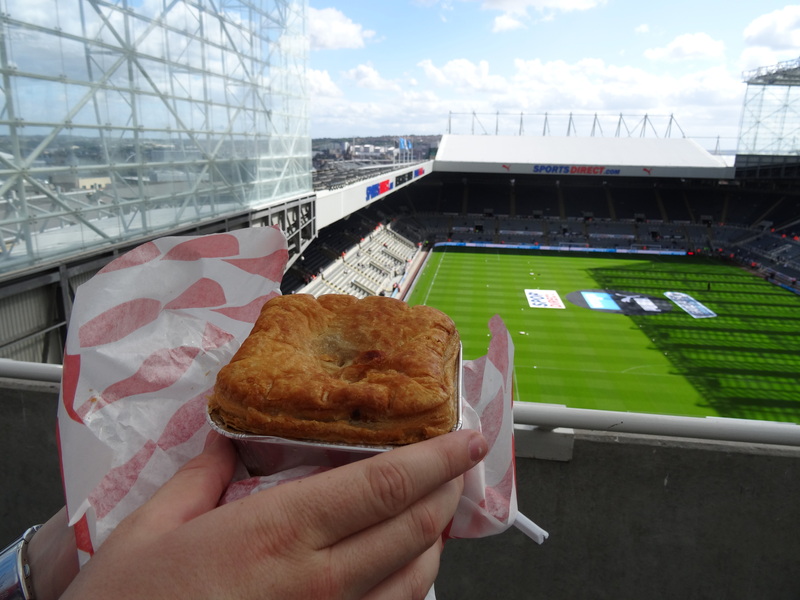 For a potato pie it wasn’t dry like JonJo Shelvey’s bald noggin and was fuller inside than Fulham’s box at an away game. Not the most succulent meat and peppered to near death but the massive size made up for any defects. SO bloody huge is The Magpie that it would likely function effectively as Fulham’s new left back, central midfielder, striker and manager. Sign him up Fulham.